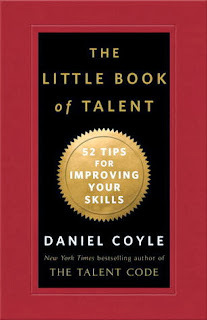 By far one of the best book that I find to be invaluable for amplifying performance is Daniel Coyle's- The Little Book of Talent. It's a must have for anyone trying to get better at their craft. It offers 52 real world tested tid bits for improving training. Better training means better performance. There are a few tips from the book that I use regularly at every training session, but for the purpose of this post I want to go over Tip #2 "Engraving". "Basically, they watch the skill being performed, closely and with great intensity, over and over, until they build a high definition mental blue print"
For this tip Coyle outlines tennis instructor, Timothy Gallwey. Gallwey set up a group of middle aged people who never played tennis before, he then began hitting some balls while instructing the viewers to focus on his form. Within 20 minutes participants where striking the racket with decent form. "the key to effective engraving is to create an intense connection: to watch and listen so closely that you can imagine the feeling of performing the skill. For physical skills, project yourself inside the performers body. Become aware of the movement, the rhythm: try to feel the interior shape of the moves." I feel it is going to be the most fun method that I can easily share with you. 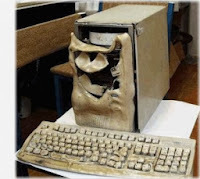 If my Windows Movie Maker program cooperates, I'm going to aim for a monthly series of techniques that were used in competition. Slow down the video, analyze the setup and the technique. In hopes of "Engraving" the proper techniques for viewers and myself alike. Enjoy!